This morning, my grla. associates, Col. Ramirez, Capt. Calvo and Mr. Elizalde dropped quietly at my office on their return trip to Manila from Isabela. Elizalde asked me for a list of 14th Inf. officers in hiding because they are in the Japanese wanted list and I gave him the names of Maj. Romulo A. Manriquez ’36, Capt. P. Dumlao, Lt. H. Quines ’42 and Lt. V. dela Cruz. Col. Ramirez greeted his former JO, my Sr. Insp. Sergio Laurente, briefly and after my visitors left, Laurente asked me how I came to know them. I replied that I met them through Manila socialite Ms. Lulu Reyes in my OSP Manila socials. It was then that he opened to me about his pro-American sympathies, how he suffered at the hands of the Japanese after he was surprised with the Japanese landing in Ilocos Sur where he was PC Prov. Comdr. Dec. 10,1941, captured and became the first USAFFE officer to become a POW. I did not tell my Sr. Inspector that my visitors are my grla. associates but instead recommended that in view of the briefing by Capt. Calvo last Feb 15 and to safeguard prime foodstuff raised locally by the natives for their own welfare, that we prohibit merchants from taking them out in commercial quantity of Vizcaya without permit from our office. Merchants from Manila have recently been purchasing rice by the truckloads due to shortage there. Laurente did not only approve my recommendation but even appointed me Chief, Economic Police for the province. I made a directive to all our detachment commanders accordingly and henceforth, movement of foodstuff in bulk from the province to anywhere outside must have written permits from our HQ. Meanwhile, the scuttlebutts by Capt. Calvo was confirmed by short wave radio news I heard with Fr. Lambreth’s two night ago. In addition, we also heard about the Council Meeting in Casablanca by US Pres. Roosevelt, Churchill and De Gaulle. The latest one I got was about my OSP Boss Maj. Enrique L. Jurado USNA ’34 who managed to elude the Japanese from Batangas to Romblon and he finally settled in Odiongan before joining the Peralta Grlas. recently in Panay, the very place he wanted our Q-Boats to escape when Bataan was surrendering. Also Col R. Kangleon is building up his grlas. in Leyte and Capt. Pedro Merritt ’34 with my classmate Lt. Ed Soliman ’40 are organizing in Samar. Maj. Inginiero and my classmate Lt. H. Alano ’40 are also busy in Bohol. It is a pleasant surprise for Col. Alfredo Ramirez ’14, Spanish Aviator Capt. Juan Calvo and Don Juan Elizalde to visit me this morning at my BC office in Bayombong and when my Sr. Inspector, Sergio Laurente ’21, saw Col. Ramirez, he was doubly surprised because I learned Laurente was once a junior officer of Ramirez. My visitors are my associates in the 14th Inf. Grlas. under Col. M. P. Enriquez ’34 but Insp. Laurente was unaware of it. I only told him they are my old friends. Capt. Calvo briefed us on the latest scuttlebutts –prime commodities like rice getting scarser and expensive in Manila because the enemy is living on the fat of the land, the good news in the European, African and Southwest Pacific Fronts. On the African Front, Allied Forces under LtGen. Eisenhower, have established firmly there with Gen. Rommel on the run. Even the Germans that occupied Stalingrad had surrendered to the Russians. And the Japanese had quit on the Solomons. The best news is about the arrival of Major Jesus Villamor via Submarine in Negros from SWPA HQ Australia to contact guerilla units in the Visayas. It seems the tide is now turning in our favor. This morning I had a most pleasant surprise, two prominent visitors, Spanish Aviator Capt. Juan Calvo known for his solo flight from Manila to Madrid in mid-30s, and Col. Alfredo Ramorez ’14, former Comdt., UST ROTC, both with the 14th Inf. Intelligence of Col. Enriquez. They cover their travel as traders with dry goods in their truck and wanted a BC pass to facilitate getting through BC check points which I granted. After briefing them of the condition of peace and order in Vizcaya with my good rapport with local Japanese military authorities, Col. Ramirez informed me of recent developments since our meeting at Miss Lulu Reyes place last month. He said the Japanese are clamping on guerrillas that early this month, a counter-intelligence unit under one, Gen. Baba started at Kempei-tai HQ in Manila. The Sakdalistas set up their own informant network called “Makapili” reporting directly to Baba. Raids were made often and it was reported that Col. Thorpe operating from Mt Pinatubo was captured near Ft. Stotsenburg, while Capt. Joe Barker was captured in Manila and both are now in Ft. Santiago. Col. Ramirez also reported that guerrilla leader Ralph McGuire was captured and executed. The Colonel also cautioned me to be very careful. They left later for Cagayan province whose Sr. Inspector is my classmate Leoncio Tan ’28. After Miss Lulu Reyes phoned me the other day about dinner last night, I was curious and intrigued about it – I’ve not seen her more than two years, how did she know my phone and presence in Manila. What intrigued me more was when she cautioned me that the stag affair was a confidential surprise. I was to be there at 6:00 PM last night but I came 20 minutes late. Lulu greeted me warmly and led me to a dimly lighted room where her guests were having cocktails. After I got my drink (scotch & water). Miss Reyes started to introduce me but to my surprise, LCol Manolo Enriquez, (CO 14th Grla Inf who replaced LCol Nakar) my grla boss, took over from Lulu to make a few remarks saying I am Maj Alcaraz, now the senior officer in command of all 14th Inf Gra Units laying low in N Vzcaya. He added that I am the Asst Senior Inspector of the Constabulary, N Viz and my assignment was arranged by him through his contact with BC Hq which made me a double agent. Manolo then introduced me to Don Juan Elizalde of the wealthy members of Elizalde family in Manila; Captain Juan Calvo, famous Spanish aviator who made the first solo flight from Manila to Madrid: and Col Alfredo Ramirez ’14 former UST ROTC Comdt – all three as his associates in the underground movement. I also noted the presence of my SA Pablo Naval sitting quietly. Manolo made many favorable remarks about our comradeship since PMA days and that knowing each other can facilitate our future operation. After I was requested to make a few remarks, I said it was a privilege knowing and working with such a distinguished group. I reiterated, however, my understanding with Col Enriquez, that to insure security, I am not making anything in writing which to me means death warrant, but all my messages – reports, requests, vital info – will be transmitted verbally by my trusted courier, SA Pablo Naval, who I asked to be recognized. We have been using that system successfully for more than a month now with Col Enriquez, I added. Apparently, this gathering was the idea of Col Enriquez, a good friend of Lulu way back during our PMA days. It was Enriquez who informed Lulu about my phone and presence in Manila. Lulu still looks beautiful but frankly, I was very uncomfortable with this anti-Japanese Group. Even if Enriquez is the only one in the Japanese wanted list, holding a social like this is dangerous, specially after learning that my classmate, Capt Ed Navarro, an associate of Enriquez is now at Ft Santiago. We had a sumptous dinner as I was seated between Mr Elizalde and Capt Calvo. I complimented Mr Elizalde for his courage and patriotism and as a generous response, he told me he is allocating a P2,000.00 per month donation to our intelligence funds to help the transportation expenses of SA Pablo Naval. This is a great help as we do not have funds for Naval. Later, Mr Elizalde and Mr Naval talked lengthily on how the donation will be remitted to my office and the location in Manila Naval can contact Elizalde. The gathering terminated 10:00PM without incident. I was apprehensive all the time expecting something untoward may happen – that the Kempei-Tai will barge in to arreest all of us. After telling Lulu my fears, she revealed that she had an escape plan for Manolo who is the only one in the wanted list. Before I departed, I commended Lulu for her bravery and patriotism, likening her to Joan of Arc. Go Beng’s Truck came to pick me up at 0830 three days ago (Nov 3) at my Tennessee residence for my trip to N. Vizcaya. It was a pleasant surprise to see Mr. Go Beng himself who told me he was going to Tuguegarao. Before bidding my wife goodbye I introduced her to Mr. Go Beng, then started our trip with me seated in the front seat with Mr. Go Beng and the driver. There were five other passengers accommodated with the merchandise area. I developed a good rapport with Mr. Go Beng who owns six trucks trading merchandise from Manila to Cagayan Valley. Trucks like he has are rare with shortage of fuel and travel very slow with the mixture of alcohol and gasoline as fuel. We finally arrived in San Jose, N. Ecija (after a short stop in Cabanatuan for lunch) at 5:00 P.M. or eight hours that normally only takes four. We stayed overnight in San Jose and early the following day, Nov. 4, we were climbing the rugged Cordillera Mt. towards Santa Fe, the first town of Vizcaya. The area we just passed is an excellent place for ambuscade, reason for not traveling at night. We then passed the town of Aritao and had lunch in Bambang after which we proceeded to Bayombong arriving at Bayombong Hotel at 1400H. While checking at the hotel, the Manager, Mr. Verzosa, handed me a note from Lt. Col. (not Major anymore) Manuel Enriquez that he wanted to see me ASAP. I have an excellent accommodation and at 1700H, Pablo Naval knocked at my door and once inside, told me the bad news that L.Col. 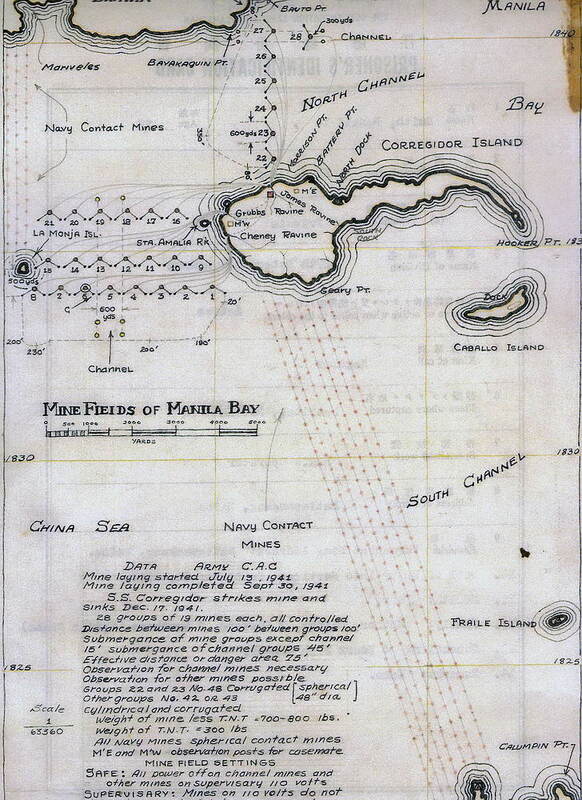 Nakar and his men were captured by the Japanese at Jones, Isabela area and that L.Col. Enriquez took over the command while the rest of the units are on the run. Naval told me that Enriquez wanted to see me ASAP and since he knows where he is, I agreed to go as soon as it gets dark. He had a caretela ready and took off towards Solano as soon as dusk fell. At barrio Bonfal, we debarked, walked about two kms westward and arrived at the place where I will meet Enriquez. It is 9:00pm and I waited another half hour at this place which is at the foot of the mountain, where a group of men that included Enriquez arrived. Manolo Enriquez was excited and embraced me like a long lost brother. Needless to say I was very happy and grateful. He then introduced me as Major Alcaraz, handing me my appointment with the 14th Inf. He said it was unfortunate Col. Nakar was captured but we have to carry on the mission. I was to Command the new N. Vizcaya Bn. to compose the company under Capt. Guillermo Aban and the company under Capt. Fernando Asuncion together with the BC Company. Capts. Aban and Asuncion were introduced to me and then we moved to another room for confidential intructions and info that include the fact that the 14th Inf. is on the run, the need for secrecy discipline and that he is moving his HQ to Baguio area. I demanded that there be no written communications, that messages between him and me would be transmitted verbatim by an intelligent loyal courier for which Pablo Naval was agreed upon. It was also agreed that our initial activities are to lay low, organize and collect intelligence while I familiarize myself with the people and terrain of N. Vizcaya. I stayed the entire evening catching up events with L.Col. Enriquez as we slept on adjacent cots. He told me he will inform other unit Comdrs. in the Field like Maj. Romulo Manriquez, Capt. Patricio Dumlao and Lt. Luis Casumpang about me and the new Bn. I will command. He also mentioned that Don Juan Elizalde is our Financial Supporter and that other associates like Col. Alfredo Ramirez and Capt. Juan Calvo may contact me later. Early this morning, after breakfast, Pablo Naval escorted me back to barrio Bonfal where the caretela was waiting and I went back alone to Bayombong Hotel. After lunch, I dressed up with my BC uniform as 5th Class Inspector, and reported to HQ, BC Bayombong whose Senior Inspector Antonio C. Diano ’19 is so happy to welcome me. I found that we have a BC Company composed mostly of former PA and Phil. Scout soldiers many of whom are Bataan veterans. I like my assignment here specially the temperate climate like Baguio. My reporting formally to this BC post makes my written obligations signed as a POW fulfilled. I feel free again!